Join us for the NDES Open House on January 27, 2019 from 12 - 2:30 pm. 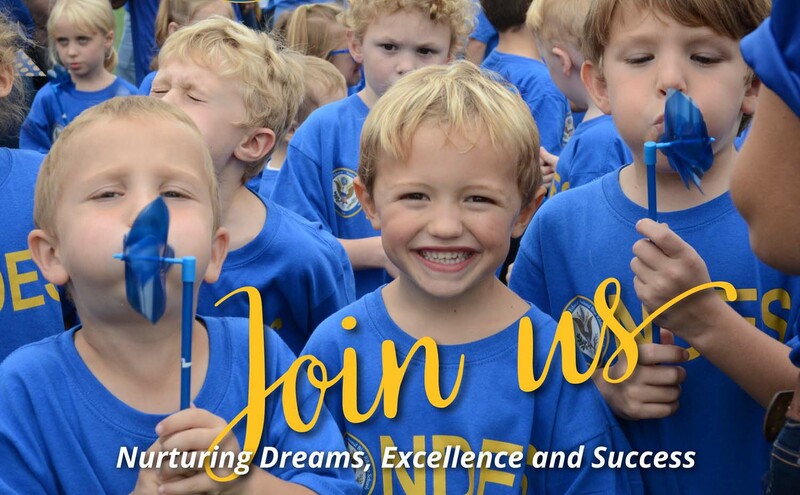 All families are invited to learn about the strong academic, leadership, spirituality, and service programs Notre Dame Elementary School offers children in preschool-grade 8. As a school steeped in 61 years of rich tradition and sponsored by the Sisters of Notre Dame, NDES bestows a tradition of excellence and welcomes families who seek a top-quality, faith-based education. Explore the beautiful campus that provides hands-on learning experiences and offers an appreciation for the simplicity and complexity of creation. Witness the school’s progressive technology program and comprehensive faith-based curriculum that calls students to higher-level thinking as they learn about and communicate concepts with a depth of understanding. Finally, experience our warm and welcoming community that nurtures and prepares our students for a lifetime of success. Students, parents, teachers, administrators will be on hand to share the spirit, energy, and opportunities that embody Notre Dame Elementary School. Notre Dame Elementary School is located at 13000 Auburn Road in Chardon, Ohio. Questions, please contact Mrs. Josephine Ambrose at 440.279.1129.